Fertilizers contain the elements that your plants need to grow. It is generally recognized that there are 17 essential elements needed by plants for normal growth. Air and water supply Carbon, Hydrogen, and Oxygen. Elements that are used in relatively small amounts are called micronutrients. These elements are- Boron, Chlorine, Cobalt, Copper, Iron, Manganese, Molybdenum and Zinc. 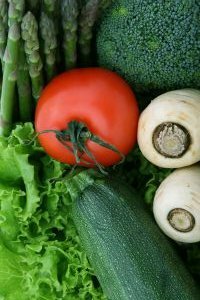 Elements that are used in relatively large amounts, called macronutrients, are Nitrogen, Potassium, Phosphorous, Sulfur, Magnesium and Calcium. All of the elements are needed in various amounts by different plants. You can perform soil testing for the basic nutrients, Nitrogen (N), Phosphorus (P) and Potassium or potash (K). You’ll also want to test the acidity, or pH of the soil. Some garden centers offer this service as well as your local county extension office. Your garden centers may also offer do-it-yourself kits that can save you some time, look in the gardening supplies section. The test results will tell you how much of each basic nutrient you need. Follow the instructions provided with the test kit or the instructions obtained from the extension service for sampling and preparing the soil sample. Fertilizers, organic or chemical will have the amount of each nutrient (NPK) noted on the label as a series of numbers like 12-1-5. These numbers express the percentage of each nutrient that the product contains and are always in the NPK order. Unless you find one that contains the correct proportions that you need, you may have to use a combination of fertilizers to achieve your goals. Also if you’re off one of the nutrients by a percent or two, don’t sweat it, because nature isn’t an exact science. Adding the required amounts of nutrient is simple math, not rocket science. The test will show you how much of each basic nutrient that you need to add in pounds per 100 square feet. For example, if the test shows you need to add .5 lbs of nitrogen, which would equate to 10 lbs of a fertilizer containing 5% nitrogen. Do the math for each basic nutrient and find the fertilizer or combination that suits your needs. The organic vs. chemical fertilizer debate rages on. As consumers and gardeners, we like to feel that we have some control over what we feed our families or use in our homes and gardens. Ultimately, it is your choice. Personally, I tend to use organic methods for anything that my family will eat, but use a combination of both for flowers and landscaping. I do not use chemicals on my lawn, that way I’m free to use the clippings for mulch and composting. If I did feel the urge to feed the lawn, I would use the organic method. I try not to feed my lawn because then I just need to mow it more often! Nitrogen is used by plants to produce chlorophyll and plant cells. As with everything in life, too much of a good thing can be a bad thing. This is especially true with nitrogen. If you use too much nitrogen, you will end up with a lot of green foliage, but your vegetable production will suffer. Chemical based fertilizers usually contain nitrogen in the form of ammonium nitrate and have both quick release and slow release forms of nitrogen. Organic fertilizers that are high in nitrogen include cottonseed, alfalfa and blood meals, fish emulsion and manures (cow, horse, chicken, rabbit, etc. ), but not dog or cat manures. Manures should always be composted before applying to the garden as they can be quite high in nitrogen and can burn your plants. Phosphorus is needed by plants to produce seeds, fruits and flowers. Chemical phosphorus is used in the garden in the form of phosphate or superphosphate. Super phosphate is created by treating phosphate rock with sulfuric acid. Organic sources of phosphorus include bone meal and phosphate rock. Potassium is used by plants to form proteins, starches and sugars. Chemical potassium is usually potassium chloride, sometimes referred to as "Muriate of Potash" and is a naturally occurring mineral. Organic sources of potassium are wood ashes, greensand and crushed granite or granite dust. Greensand and wood ash contain about 3% potassium. Granite dust has less and it is not as readily available, so it's a longer term solution. Wood ashes have a liming effect and soil testing should be utilized to maintain proper pH in your soil. Utilizing your own wood ashes from a wood stove or is recommended so that you know what was burned.